Next week, from May 23-24, GEO Business, the UK’s biggest geospatial exhibition and conference of the year, returns to the Business Design Centre in London. Over 3,000 visitors, from 67 countries, will be there to discover the latest new products, services and solutions from 200 leading industry innovators. Attendees will also have chance to meet xyHt’s Europe editor and GIS guru at large, Nick Duggan who will be prowling the halls. 3D Laser Mapping is showcasing the flexibility of ROBIN, the world’s most flexible mobile mapping system. Enabling users to ‘map everywhere’, it features walk, drive and fly capabilities and precision level accuracy (UK, stand N1). AeroScientific is exhibiting its award-winning Aviatrix flight management system: a collection of software and hardware tools to plan aerial photography missions, provide pilot navigation, and control aerial cameras on manned aircraft (Australia, stand B5). Applications in CADD is showcasing some of the latest features that have been introduced to its popular ‘field to finish’ n4ce mapping and modelling software. They also have a new licencing and pricing policy (UK, stand N2). Blue Marble Geographics is showcasing the latest release of Global Mapper and the accompanying LiDAR Module. This low-cost, all-in-one GIS application combines powerful raster and vector data editing, conversion, and analysis functionality, with advanced LiDAR processing and 3D feature extraction (USA, stand J5). DotProduct is showcasing its new handheld 3D scanner, the DPI-8X. It delivers improved portability, durability, and ease of use, powered by the latest Phi.3D software and the new Dot3D Edit app on Android or Windows (USA, stand H9). Drilline Products is the exclusive UK and Ireland distributor for IDS, the Italian manufacturer of leading Ground Penetrating Radar systems (GPR). They’re exhibiting the Opera Duo and the new Stream-C system, a gamechanger in utility detection and mapping (UK, stand F8). FLIR Systems is showcasing the new Ladybug 5+. It features a new Sony Pregius global shutter CMOS sensor for vastly improved image quality, eliminating solar smearing in outdoor images and delivering better colour response, low noise, and high dynamic range indoors and out (Canada, stand K7). Forsberg Services is presenting the latest NovAtel OEM7 family of GNSS/INS products, featuring the Interference Toolkit for detection and mitigation of RF interference. Also showcasing: the OPTOnav software suite for real time asset survey (UK, stand M2). IGI is showcasing its new IGI UrbanMapper. This large format digital aerial camera is, simultaneously, also an oblique aerial camera system. It’s the next generation of digital aerial camera systems for the production of 3D city models (Germany, K15). Kaarta is transforming the course of 3D modelling with the launch of Contour – an integrated, handheld device that condenses 3D modelling in one product, one step, in real time. Kaarta can model complex environments with unprecedented speed, accuracy and cost efficiency, without maps, GPS, or infrastructure (USA, stand J17). Leica Geosystems is showcasing the Leica BLK360 – the smallest and lightest imaging laser scanner of its kind. Anyone who can operate an iPad can now capture the world around them with full-colour, high resolution 3D panoramic images overlaid on a high-accuracy point cloud. It can scan in high, standard and fast resolutions, and perform a full-dome scan in less than 3 minutes (UK, stand G2). NavVis is promoting its end-to-end indoor digitization solution, which can help reduce data collection time by 90%; compared to an approach with terrestrial laser scanning. The NavVis M3 Trolley can map and process up to 20,000m² per day (Germany, stand N9). NCTech is showcasing its new LASiris VR – 3D reality capture camera, at the show. This push-button device provides vivid HDR 360 imaging seamlessly blended with 100m range LiDAR 3D point cloud capture (UK, stand H13). Ohmex is showcasing the HydRobot remote-controlled craft solution, which uses their SonarMite OEM echo sounder with GPS and robotic total stations. The system is designed for hydrographic surveys of rivers, lakes and canals with tree and building cover (UK, stand N8). 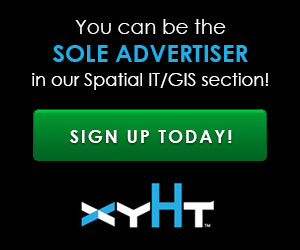 Orbit GT is showcasing its recently launched Orbit 3DMapping Cloud. This new SaaS solution is designed for optimal sharing and use of vast volumes of 3D Mapping data, typically collected as LiDAR or Image data (Belgium, stand N6). Radiodetection SPX’s C.A.T Manager Online system supports damage reduction and safety improvement, by providing near real-time monitoring of gC.A.T4 fleets. Also showcasing: Cable Avoidance Tools and high-precision cable and pipe locators (UK, stand C8). RIEGL Laser Measurement Systems is showcasing its UAV LiDAR Sensors – RIEGL VUX-1UAV and the RIEGL miniVUX-1UAV. These lightweight and compact laser scanners provide survey-grade performance, while their size, weight, and cost makes deployment on sUAVs practical and economical for commercial applications (Austria, stand N1). Senceive, specialists in remote condition monitoring solutions, is showcasing its innovative Nano tilt/deformation sensor. Designed specifically for the rail and construction sectors, it’s the next generation of wireless tilt sensing (UK, stand F16). SierraSoft is showcasing its innovative BIM software solutions for infrastructures. These include SierraSoft Land for land surveying, and SierraSoft Roads for roads and motorways design (Italy, stand N14). Skeye BV, an aerial survey and inspection company operating in the UK, mainland Europe and Africa, is promoting its latest 3D City Modelling capability from manned aircraft. Also showcasing: UAV mounted Ground Penetrating Radar Sensor (UK, stand B9). Sonardyne International is demonstrating how its dynamic underwater mobile mapping can transform underwater archaeological surveys, contactless metrology and asset monitoring. It works by combining their inertial (SPRINT), Doppler (Syrinx) and acoustic (6G) technologies, with a subsea laser scanner (UK, stand L10). Trimble is showcasing its latest solutions – Trimble SX10 Scanning Total Station and Catalyst, a subscription-based software GNSS receiver (USA, stand L1). XYZ Maps is promoting the latest versions of Avenza MAPublisher and Geographic Imager, the Avenza Maps app, MapInfo Pro V16, and the completed Xtreme Accuracy Postcode Sector boundary data for the UK (UK, stand C11). For further information, and to register for a FREE ticket to attend the exhibition and workshops, please visit www.geobusinessshow.com/register. CPD points are awarded for all visitors who attend the workshops and conference sessions (conference prices start from £15 per day).